I spent the day today in my hometown of Lenox, MA, at the 2008 Tanglewood Jazz Festival. Any day that combines my favorite place and my favorite music is a good day, and today was a good day. Tanglewood is the summer home of the Boston Symphony, and it’s also home to things like an annual James Taylor concert, an annual recording of A Prairie Home Companion, and the jazz festival. The setting is idyllic — the whole place is nestled in the Berkshire Mountains between Lenox and Stockbridge. The festival is held in Ozawa Hall (named after famed conductor Seiji Ozawa), with additional performances in the “Jazz Cafe” — a tent up the hill from the hall. People also sit on the lawn between the two venues, and the entire back wall of Ozawa Hall opens up for the evening performances to give the lawn folks a view of the show. There were really only two small issues today — bugs and rain. It was quite humid, and the mosquitoes and gnats were out in full force during the early evening. Then it rained later on. Still, the crowd was happy and into the music, and I’d have to say the opening day was a big success. Later in the afternoon, I stopped over at the VIP reception site and listened to a rehearsal by Australian vocalist Jo Lawry. I was completely knocked out. She has an incredibly pure voice with faultless intonation, and the band featured some top-notch players, including guitarist Keith Ganz, whose name will be familiar if you’re a fan of his wife, singer Kate McGarry. 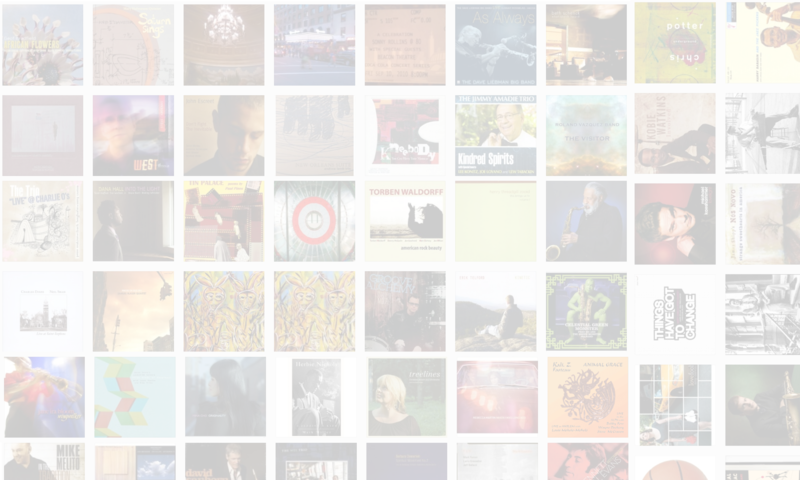 (Kate was on The Jazz Session #33.) Kate was there as well, and she told me that she and Jo Lawry have become good friends and collaborators. I caught part of Jo’s set at the VIP reception and sat down for an interview with her after the set. Listen for it on an upcoming show. I had to leave Jo Lawry’s show to MC a show in the Jazz Cafe by pianist Aaron Parks, who was a guest on The Jazz Session #38. 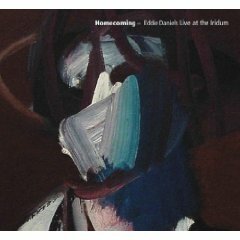 Aaron was joined by most of the line-up from his new album, Invisible Cinema: Matt Penman on bass, Mike Moreno on guitar, and Kendrick Scott on drums in place of Eric Harland, who plays on the record. (Kendrick was on The Jazz Session #25.) Aaron and the band sounded great, and the crowd was appreciative. After the first few numbers of Aaron’s set, I checked my cell phone and saw several missed calls from vibraphonist Joe Locke, who was performing later in the evening with harpist Edmar Casteneda. I called Joe and learned that he was (a) lost and (b) stuck in traffic and (c) unable to reach the band and (d) needing some help to prepare the vibes. I ran down to Ozawa Hall where Edmar was doing his soundcheck. As I walked in, they were wondering where Joe was. “He’s right here,” I said, holding up my cell phone. We got Joe some directions, got the vibes mostly prepared, and Joe arrived in time for the end of the soundcheck. What’s more, he and Edmar and the band had just flown in from Israel the night before — and Joe had spent all 11 hours of the flight in the bathroom with food poisoning. You sure couldn’t tell at the gig, though. They absolutely rocked the house. 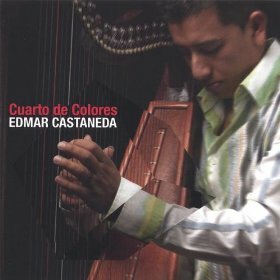 Do not pass up any chance to check out Edmar Casteneda. 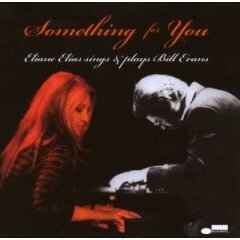 Pianist and vocalist Eliane Elias played a fun set split between a tribute to pianist Bill Evans and selections from the world of Brazilian bossa nova. Bassist Marc Johnson and drummer Adam Nussbaum were perfect bandmates, and the communication between Eliane and Adam was something to see. And hear, for that matter. Nice summary, Jason; sorry I missed you at the Lawry performance. We were probably standing next to each other. I wondered about the mix of Bill Evans and the Bossa Nova material, but Elias certainly carried it off. Let’s hope the weather clears today. 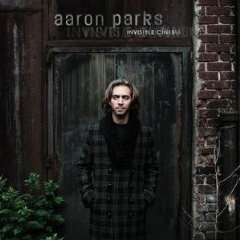 Previous PostPrevious Aaron Parks CD giveaway!